While the majority of business leaders and marketers are well versed by now in social media marketing, not everyone is on board yet. There are still a lot of companies, C-Suite level executives, and “old school” workers that aren’t aware of what social media marketing platforms offer. Or their knowledge and experience may be stuck 5+ years ago when Facebook, Twitter, YouTube, and LinkedIn were the only real players (and things were much different!). 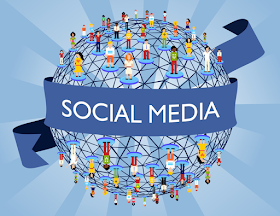 Most business professionals know the benefits of social media marketing, but below I’ve written a simplified outline on the various social media platforms that are reshaping the world of business today. You’ll also find many links to more detailed and advanced articles I’ve written on individual platforms, strategies, and case studies. Facebook, founded in 2004 and publicly held, is the largest social network with about 1.5 Billion users worldwide. Over the past 4 years Facebook has updated their algorithms so that brand page posts now only reach about 1-1.5% of the people who like the page. This means that for most businesses, paid Facebook ads and more post engagement (shares & discussion), are crucial to maximize results. Facebook for the most part covers the majority of social media users but user growth has plateaued a bit in the US.Facebook users range from teenagers to those in their 50’s and even 60’s. The latter has actually been growing much faster than the former because the teen and millennial demographic have migrated more to Instagram and Snapchat. Twitter, founded in 2006 and publicly held, currently has about 300 Million users. It is a platform that is ideal for sharing quick live updates and articles of interest. You can also link live videos directly to your account or through an app called Periscope. You can also link up your videos or popular videos through a platform called Vine. Twitter started the use of hashtags, which has since been utilized heavily on Instagram and even a small amount on Facebook. Twitter use has plateaued over the past year and a lot of the younger users (that originally flocked to Twitter from Facebook), have been migrating more to Instagram and Snapchat. Although not as extreme as Facebook, not everyone who follows you will see your posts, and a lot can get lost in the shuffle. Advertising on Twitter can be a little more expensive and a little less effective in my opinion, but it depends on your goals and industry. Instagram, started in 2010 and bought by Facebook in 2012, now has about 400 million users. The majority of them are teens and millennials, although there has been more recent growth from other age groups. Instagram is best used to display high quality images, videos, and live content (with a new feature called “Stories” that looks to compete directly with Snapchat). Instagram created the popular “Filters” to easily enhance images and videos before posting them and helped to further popularize the infamous “selfie” pictures. Advertising on Instagram is similar to Facebook due to ownership. Snapchat, founded in 2011 and now publicly owned (March 2017 IPO), now has 150+ Million daily users… up a massive amount in just the last year. Many younger users got started on Snapchat because your posts disappear after 24 hours and very few “older” people used it. Snapchat has more advanced and customized Filters and other image modifications when compared with Instagram. Besides messaging other users, it is primarily used by advertisers by growing followers and posting pictures and videos. You can also pay for custom branded image/video filters or to feature your media. Because you can’t use any clickable links on posts you share (unless you pay a lot for the advertising), it’s much more difficult to measure web traffic or sales generated through Snapchat marketing compared with other more traditional platforms. But if you’re trying to reach teens and millennials, Snapchat is a big and growing platform to do so. Time will tell how Snapchat will grow and monetize after its impressive initial public offering of around $25 Billion. Can it compete with Instagram stories, will it’s growth continue to slow, and will it ever turn a profit? LinkedIn, founded in 2002 and just now being purchased by Microsoft, boasts over 400 million users. It is primarily for professional networking and Business-To-Business (B2B) marketing. In terms of marketing Business-To-Consumer (B2C), you can reach out to some (most likely) higher paying customers… but it’s more useful to connect with vendors, company decision makers, and candidates for employment. LinkedIn can also be used successfully to promote events and publish PR-friendly content. Pinterest, founded in 2010 and still privately owned, has over 100 million regular users. It’s essentially a catalog of images, videos, and infographics that are of interest to it’s users. Nearly every image or video on the web can be “pinned” on to boards of any topic that you create and shared with your followers. It also has a user base of about 80% women so that is very important to acknowledge when identifying your marketing strategy. It’s an excellent platform to refer traffic to your website, share “How-To” type or other informational posts, and drive customers to your eCommerce site. YouTube, founded in 2005 and purchased by Google in 2006, has over 1 Billion users. It’s primarily for uploading and sharing videos, along with creating a brand community. If used properly, you can leverage this social network for some incredible publicity and product marketing. Although now there are so many videos and channels competing for views that it is sometimes more challenging to get your videos noticed and your channel’s subscriptions higher. Rivals Facebook and Twitter have also made it more difficult to share YouTube videos on their platforms because they want to give the advantage to their native videos and live recording programs. Google+ aka Google Plus aka G+, founded in 2011, has hundreds of millions of active users (or about 2 billion total accounts according to Google) but very little usage rate. The reason why so many users were registered is because it was basically a requirement with other Google services and billions of people use Google Search, YouTube, Gmail, Google Maps, and dozens of other popular programs. Although it is mostly considered a failure compared to other social networks, you can still get some website traffic from it and a possible increase in the search engine rank of your websites (your website may be found in more organically in search engines like Google). It is still worth creating personal and business profiles (and/or Google Maps listings) and updating, but not worth spending more than a few minutes on every month. Reddit, founded in 2005 and private owned (a subsidiary of Advance Publications) is an aggregation site and community that ranks as one of the most popular websites in the world. Reddit isn’t always considered as a mainstream social media site for marketingpurposes but it has around half a billion active monthly users. It also drives an incredible amount of traffic. Like many forums and online communities, you need to learn the nuances of the platform and make sure to contribute more than broadcast your posts. Pictures, videos, memes, and quotes do very well on this platform. If you haven’t tried out Reddit you could be missing out on an exceptional business opportunity. Tumblr, founded in 2007 and bought by Yahoo in 2013, is a micro-blogging and social media site for sharing multimedia and short-form content. It’s primary users are teenagers and Millennials. In my opinion it’s more useful these days if you don’t already have a website and/or blog. Like Reddit, Tumblr has a unique community culture that makes it a little more challenging for the average marketer to sell effectively. Obviously pictures, videos, GIF’s, infographics, and anything else visual will be successful on Tumblr. Large blocks of text will most likely be detrimental to your efforts. Foursquare (and the similar app handcuffed to it called Swarm), launched in 2009 and still privately owned, allows users to find locations near them, rate them, get tips, visit their website etc. It has not been used nearly as much as it did 2-3 years ago, but still boasts 60 million registered users. It’s still worth taking a small amount of time listing your businesses on Foursquare to cover your bases, but not advertising in my opinion. Successful companies also seamlessly integrate their social media marketing with their Website, Email Marketing, and Mobile Application because it has a synergistic effect on marketing efforts. It’s all interrelated these days and now just over 50% of everything is from smartphones. Keep that in mind as well!